Get the Most Value for your Money with Top-Rated Professional Grade Cooking Equipment! 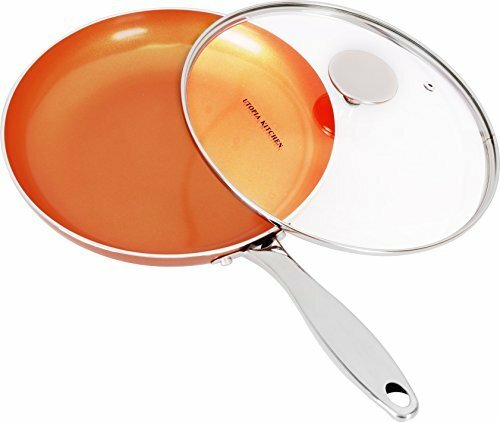 The Induction Bottom Nonstick 9.5-Inch Frying Pan is made of professional-grade 3003 aluminum alloy with heat resistant copper paint coating. Its non-stick copper ceramic coated (PFLUON) interior is exceptionally durable, double quoted and scratch resistant. Its sturdy stainless steel handle creates a comfortable grip that resists rust and dullness.